A few months ago, when I got involved with the Share An Excerpt Saturday Group, run by author Tammie Clarke Gibbs, I had the honor of meeting a lot of great folks, but one person, in particular, stood out from the crowd, Fran Veal. Fran and I quickly learned that we are, in fact, what Anne Shirley called “kindred spirits” in Anne of Green Gables. And, much to my delight she even referenced that connection in one of our online conversations. I also read and reviewed her first book, FINDING MY ESCAPE, during this period, and LOVED it! So, when I found out that Fran was looking for people to host her to help promote the long-awaited sequel, FINDING MY WAY BACK, I readily agreed. Here’s a look at the book, as told from the main character, Hannah Jordan’s, perspective. Three weeks ago, I walked in while my parents were being murdered. I escaped, but I need to put my life back together again. There’s just one problem – I don’t know where to begin. My parents weren’t who I thought they were. My best friend isn’t who I thought he was. The killer isn’t who I thought he was. And scariest of all, I’m not who I thought I was. FINDING MY WAY BACK is a Young Adult tale of adventure, self-discovery and romance, with a twist of the paranormal. It’s the sequel to the Kindle bestseller FINDING MY ESCAPE. 1. How would you describe Finding My Way Back to someone who has not yet read it? Finding My Way Back is very much a coming of age story. It’s the sequel to Finding My Escape, where Hannah Jordan walks in to find her parents being murdered. In the first book, she’s dealing with the after-effects of loss. (I strongly recommend reading the first book since this is a trilogy.) In the second book, everything in her world is shaken when she learns that her parents had been keeping a very important secret from her. She realizes virtually nothing in her life – her parents, her best friend, the killer, and even herself – is what it appears to be. 2. Is there a specific message in Finding My Way Back that you want your readers to grasp? That’s a tough one. I guess if there’s a specific message, it would be to trust your instincts. There are people in your life you know you can trust. You just know it. There are also people you want to trust, but you have that nagging feeling that there’s something more there. Don’t trust blindly. If you have that nagging feeling, listen to it and get to the bottom of what’s causing it. Whoa! Me on Oprah. “Thank you, Ms. Winfrey, for having me on your show. Please excuse me while I faint from stage fright.” Sorry, I was digressing a little. Hmmm, if I were on Oprah, I think the theme of the show would be either dealing with grief, or empowering young women to stand on their own. That is an interesting question. Because this book is the second in a trilogy, I’ll address the series as a whole. When I was writing Finding My Escape, I lost my father, so Hannah’s grief at losing her parents was very much mine. There’s a lot of me in Aunt Laura (except for the red hair). Hannah is a combination of several teens I know. 5. How did you get the idea for the series? I’ve always been fascinated with dreams, and I had a very vivid dream one night that got me thinking about how dreams occur, and the magical worlds our dreams create. I wanted to write about another world that could be accessed through our dreams – a world as real as our own. I was probably halfway through the first book in the series before I had the name, but it just clicked. I had the title for Finding My Way Back before I started it. There’s a scene where Hannah blows up at another character who has been consistently keeping things from her and sending her mixed messages. The story had been building to this for several chapters, but ironically, one of my betas pointed out I’d never written the big blow up scene. So my favorite scene was actually a bit of an afterthought! I’m pretty tickled with the end, too, but I won’t even hint at what that is here. I’ll just say that it will have people chomping at the bit for the third book, which I plan to have finished early in 2014. 8. If you had to do it all over again, would you change anything about Finding My Way Back? I really don’t think I would change anything. I love the way the story flows and sets everything up for the final resolution in the third book. I’ve always wanted to write, but I was at the pool with a group of moms and our kids one day, and I was talking about the quality and subject matter of some of the stories that my daughter was bringing home to read. Some of the stories that were touted as Young Adult seemed more adult in subject matter. (I believe the fairly recent book category, New Adult, solves a lot of this.) One of my friends suggested I write YA novels. I put it off for a couple of years, but finally, after some nagging by a couple of people I know, I took the plunge. How much time and space do you have? I really feel like I stumbled onto most of what I’ve learned accidentally. I did some research on writing, got involved with a writing forum that was geared primarily to traditional publishing, and knew nothing about marketing. I guess if I’ve learned anything, it’s to write from your heart, listen to others, but don’t let them change the heart of what you’re trying to say. Focus on the writing first, develop strong relationships with other writers, and try not to stress over sales. I love seeing it finished on the shelf, but I love the writing process too. I also hate the writing process. I learned the hard way (maybe I should have added this to question 10) that I need to really have a strong outline from start to finish to avoid writer’s block. I love sitting down and plotting with my white board, outlining characters and scenes. I despise writer’s block. I’m not crazy about editing – which is why I have you. I’m always a little nervous when the first betas get the book. I despise formatting, but it’s a necessary evil! I really enjoy YA, but I think I might like to try fantasy. I have my cousin, Ken Ward, to thank for that. Ken was several years older than me, but he always treated me more like an equal, rather than just a kid. We talked about books and music, he taught me to play chess. When I was about eleven, he gave me The Sword of Shannara by Terry Brooks, and I was hooked! Ken is gone now, but every time I see a fantasy novel, I think of him. I just finished an ARC of JJ DiBenedetto’s Waking Dream. It’s book five of his Dream series. Excellent book and series. Selling a million books and moving to Hawaii. Okay, seriously. I’m working on Finding My Way Home, the final book in the Finding My Escape Series. I’m also collaborating on a comedy with Bryden Lloyd entitled Five Strikes about a single dad with five daughters. The dad is trying to date, but the girls are finding ways to thwart his efforts. I’m also starting a series based on the actual Grimm Fairy Tales. The stories we read as kids were pretty watered down. First, write from your heart and don’t try to write to fit the trends in the market. For one thing, by the time you finish your story, the trends may be very different. For another, trend stories are a dime a dozen. 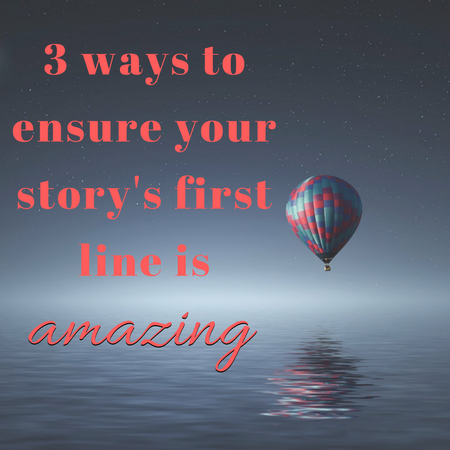 Second, please, please, please make sure the story you are writing is top notch in every way. Be sure it is well-plotted, be very careful of your grammar, have it edited by someone other than yourself, and make sure your cover can compete with any traditional book on the market. As an indie author, I hate to say this, but way too much work that is put out there is sub-par and rushed. The grammar is poor, there are too many typos, and the books are poorly formatted. Finally, treat your writing as a business. Always be professional when you are online. Have a professional, well-thought-out platform. Learn to brand yourself. Find online groups in Facebook and Goodreads to join and learn from seasoned authors. Learn to manage your time. Very few authors are able to make writing their full-time job until they have several books out there, and juggling job, family, writing, and marketing can be difficult, but it can be done with careful planning. Thanks so much for the interview, Mishael. I forgot to mention that my cover art is by Emma Michaels, and the photo of me was taken by my good friend, Kara Kimbrough.